Despite the strength of Fort Macon during it's active years in military service, I find nothing stronger than the bond between mother and daughter. This is one of those pictures that will stand the test of time and bring back warm and fond memories when reflected upon in years to come. Family sessions are especially rewarding when you consider the impact they make on the future generations of the family and the importance they hold in documenting the generations. The plan for beach photography near Beaufort Inlet was wiped out due to mother nature, so we regrouped and moved to a more protected area. Storms in the area began to break for a few fleeting moments and we made the most of the opportunity to use the cloudy sky to contrast the bright greens in the grass lining the hill and provide a telling background of the day for this image. 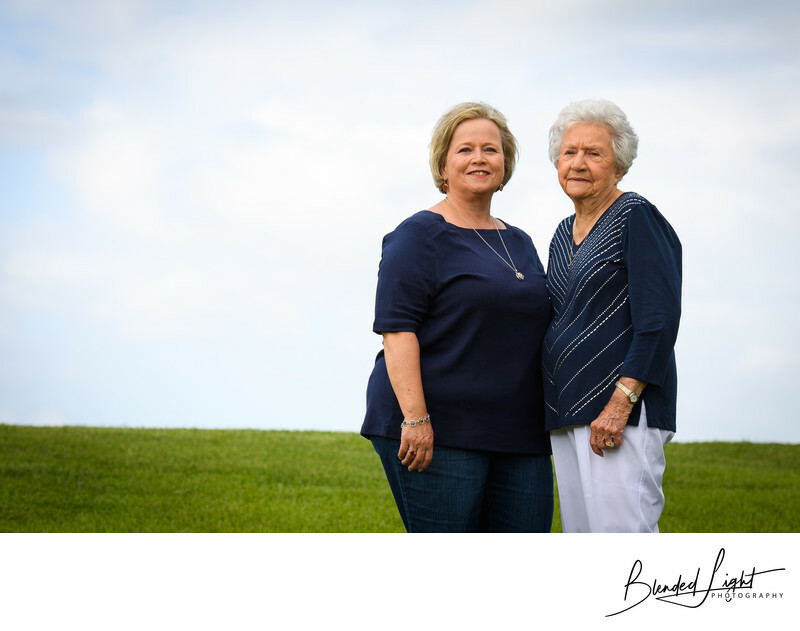 With off camera flash positioned to the right of the family and providing a small amount of fill for the shadows, we created a beautiful image of this mother and daughter during an extended family shoot near Atlantic Beach in June. I love the simplicity of this image - just mother and daughter in a beautiful setting on a greta early summer day! Location: Fort Macon, Atlantic Beach, North Carolina. Keywords: Atlantic Beach (3), Beach portraits (3), Family Beach (3), Fort Macon (3). 1/640; f/5.6; ISO 200; 116.0 mm.